A good number of countries should become more dependent upon ethanol production as a renewable source to decrease dependency on imported foreign oil. Globally, there has been considerable investment in research and development on alternative renewable fuels from biomass. One such avenue of research has been the conversion of biomass to renewable fuels and specifically ethanol as a fuel feedstock. Biomass is used to describe any organic matter from plants that derives energy from photosynthetic conversion. It is a unique resource, which is the only renewable source of carbon. The fibre derived from the Group’s MSW processing and recovery is largely cellulose and is an ideal feedstock for the production of ethanol, with some 100 litres (41 US gallons) per ton of fibre using the proven enzymatic hydrolysis system. Biomass is a versatile energy source that can be easily stored and transformed into liquid fuel, electricity and heat through various processes. Biogas, biodiesel, ethanol, methanol, diesel and hydrogen are examples of energy carriers that can be produced from biomass. Traditional sources of biomass include fuel wood, charcoal and animal manure. Modern sources of biomass are energy crops, agricultural residues and municipal sold waste. Biofuel can be produced from renewable resource of plant or animal origin. Biofuel has two kinds of material – Bioethanol is made from sugar and starch products while biodiesel is produced from vegetable oil or animal fats. The US Environment Protection Agency and the Worldwatch Institute highlight that one unit of energy input creates 1.3 units of biofuel energy output using corn, eight units of output using sugar cane and up to 36 units of output using cellulose. This compares with 0.83 units of output for one unit of fossil fuel input, which always has a negative energy balance. If biofuels production were to be actively pursued these countries need not import oil from other countries. They can farm crops to get biofuels and potentially, would no longer have to depend on other countries to import fuels if they use their land resources, a lot of which are lying fallow, to grow biofuel feedstocks and make biofuels. In addition, Biofuel has a lot of benefits. Biofuel is a domestically produced, clean-burning, renewable substitute for oil. Using biofuel improves public health and the environment, and provides safety benefits. The production of ethanol for fuel is one of the nation’s and the world’s major initiatives, partly because its production takes as much carbon out of the atmosphere as it dumps into the atmosphere. 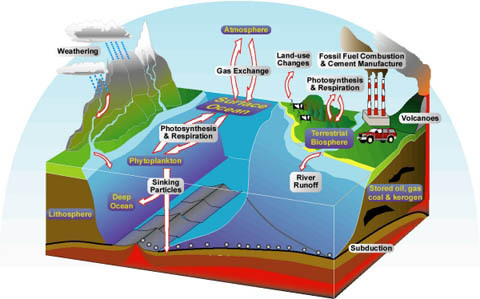 By contrast, that is different from fossil fuels, such as oil and coal, which take stored carbon out of the ground and releases it into the atmosphere, the consequence of which is a net increase in greenhouse gas emissions. Crop-based ethanol production is slow and resource-costly. Working with cyanobacteria, which is a strain of blue-green algae , will produce even more ethanol, it is this strain of algae that are more tolerant of high levels of ethanol. The system in effect continuously harvests ethanol. The technology is fairly simple. It involves a photo-bioreactor that continuously harvests ethanol. The bio-reactor is simply a clear glass or plastic container full of the blue-green-algae-solution that is a living organism. The photo-bioreactor converts sunlight and carbon dioxide into their own food and releases oxygen as a waste product. Sunlight promotes a biological reaction. 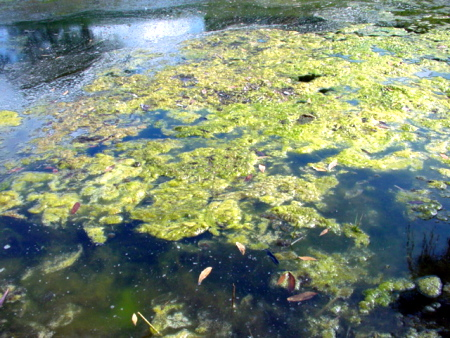 Carbon dioxide gas is bubbled through the green mixture of water and cyanobacteria. Simply put, during the process, algae consumes sunlight and more than 90 percent of the system’s CO2 through photosynthesis, wherein the sugars are converted into ethanol. The ethanol is immediately pumped out and evaporates into the bioreactor which is captured every night. Basically the process can take in 1.5 million tons of CO,sup>2 and convert it into 100 million gallons of ethanol. Solar energy drives the conversion of the carbon dioxide into ethanol. 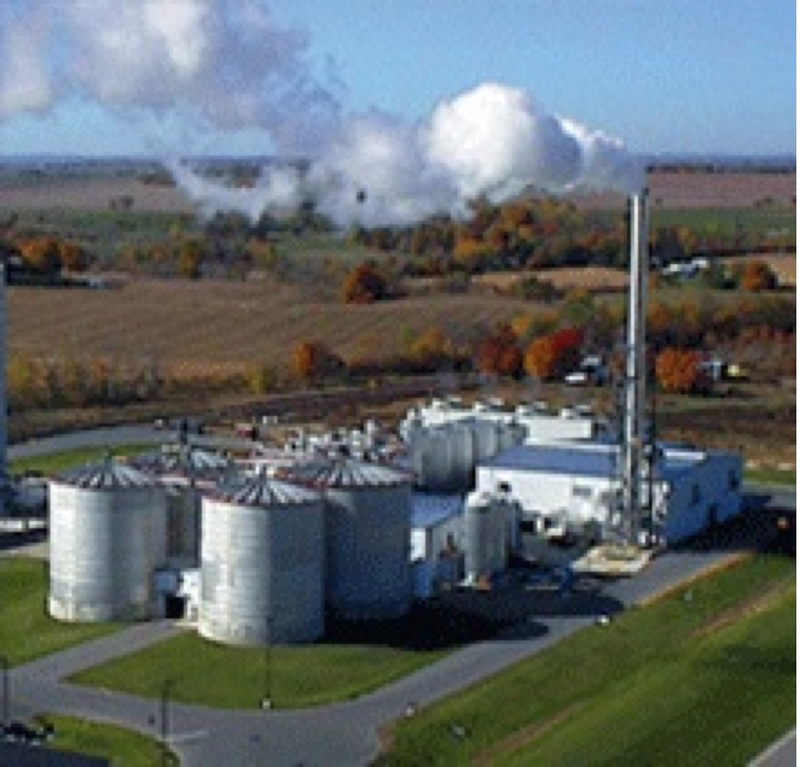 The benefit over other techniques of producing ethanol is that this is simple and quick—taking days rather than the months required to grow crops that can be converted to ethanol. Algae biomass, a next-generation biofuel feedstock, has many advantages over traditional biofuel crops. Why algae? The object is to produce biofuel from algae. Compared with second-generation biofuels, algae are high-yield high-cost (30 times more energy per acre than terrestrial crops) feedstocks to produce biofuels. Since the whole organism converts sunlight into oil, algae can produce more oil in an area the size of a two-car garage than an entire football field of soybeans. Algal fuels do not impact fresh water resources, and can use ocean and wastewater. With the record oil price increases since 2003, competing demands between foods and other biofuel sources and the world food crisis, there is much interest in algaculture (farming algae) for making vegetable oil, biodiesel, bioethanol, biogasoline, biomethanol, biobutanol and other biofuels. The production of biofuels to replace oil and natural gas is focusing on the use of cheap organic matter (usually cellulose, agricultural and sewage waste) in the efficient production of liquid and gas biofuels, which yield high net energy gain. One advantage of many biofuels over most other fuel types is that they are biodegradable, and so relatively harmless to the environment if spilled. To put it into its true perspective, the United States Department of Energy estimates that if algae fuel replaced all the petroleum fuel in the United States, it would require 15,000 square miles (40,000 square kilometers), which is a few thousand square miles larger than Maryland, or 1.3 times the size of Belgium. This is less than 1/7th the area of corn harvested in the United States. The GHG emissions from biofuels are up to 65% less than those of fossil fuels. These reductions will result in a cleaner environment and help meet Kyoto obligations. 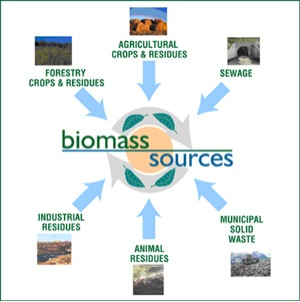 Biomass is renewable biological material, primarily plant matter or products derived from plant matter. Edible biomass includes sugars from sugar cane or sugar beets, starches from corn kernels and other grains, and vegetable oils. The fibrous, woody, and generally inedible portions of plants are called “cellulosic” or “lignocellulosic” biomass because they contain cellulose, hemicellulose, and lignin—key structural components of plant cell walls. Cellulosic biomass is the most plent iful biological material on earth. Cellulose and hemicellulose are complex carbohydrates that can be broken down into simple sugars convertible to ethanol by microorganisms. Lignin is a complex, non-carbohydrate polymer that binds cellulose and hemicellulose and gives plant cell walls their rigidity. Dry cellulosic biomass consists of about 75% carbohydrates and 25% lignin. Biomass is a renewable energy resource derived from waste. It comes from both human and natural activities and uses by-products from the timber industry, agricultural crops, raw material from forests, household wastes, and wood. Like wind, solar and other forms of renewable energy, biomass produces fewer emissions than its fossil fuel counterparts. Sources of cellulosic biomass include stalks and leaves of corn and other crops; tree limbs or vegetation removed to reduce forest fire hazards; wood chips or sawdust from lumber and paper processing; municipal solid waste (e.g., discarded wood or paper products, yard trimmings, food scraps); and grassy or woody crops grown specifically for biofuels production. After fossil fuels, biomass is the most widely used fuel in the world. A principal advantage of biomass is its low greenhouse gas emission characteristic. Biomass does not spew carbon dioxide into the atmosphere as it absorbs an equal amount of carbon in growing as it releases when consumed as a fuel. Biomass contains less sulfur than coal, and consequently produces less SO2. It can be used to generate electricity utilizing the same equipment that is used to combust fossil fuels, and its use cuts down on the need for landfills, has a positive impact on watershed quality, retards the risk of wildfires by thinning forests, and generates jobs in the local economy. Biomass can be converted into various types of fuels and used in numerous applications. Two types of ethanol are produced in the United States: fermentation ethanol and synthetic ethanol. In addition, biodiesel, bio-oil, and biofuel from synthetic gas are produced commercially. 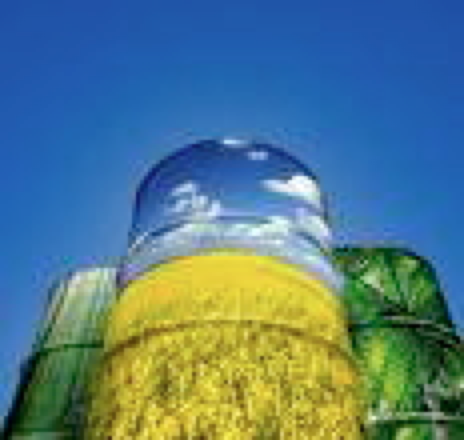 Grains and oilseeds are the primary feedstocks used to produce the ethanol, biodiesel, and bio-products consumed today. Food and feed processing residues and tertiary post-consumer residues are also classified as biomass and can be used to generate a modest amount of electricity. These agriculture-derived biomass resources account for nearly 25% of the current biomass consumption. Liquid biofuels made from biomass are attracting increasing interest worldwide. Industrial countries see biofuels as a way of reducing greenhouse gas (GHG) emissions from the transport sector and diversifying energy sources. Carbohydrates offer a convenient starting material, with their multiple reactive hydroxyl groups, but a drawback of using most carbohydrates is the need to remove the unwanted hydroxyls. Biofuels are liquid, solid, or gaseous fuels derived from renewable biological sources. Biomass can be burned directly for thermal energy or converted to other high-value energy sources including ethanol, biodiesel, methanol, hydrogen, or methane. Currently, ethanol from corn grain and biodiesel are the only biofuels produced in th e United States on an industrial scale. Biofuels are classified as renewable fuels that are predominantly produced from domestically produced biomass feed stocks or as a by product from the industrial processing of agricultural or food products, or from the recovery and reprocessing of products such as cooking and vegetable oil. Biofuel contains no petroleum, but it can be blended at any level with petroleum fuel to create a biofuel blend. It is becoming increasingly clear that reliance on oil as the principal source of fuel is unsustainable over the long-term. A shift towards any alternative fuel is going to require a governmental commitment to emerging technologies. In addition, integrating alternative fuels into the mass mar ket will have broad impacts on existing policies. It can be used in conventional heating equipment or diesel engine with no major modification. 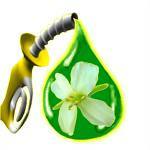 Biofuel is simple to use, biodegradable, non-toxic and essentially free of sulphur and aromatics. Ethanol and biodiesel are the most widely recognized biofuel sources for transport sector. It has been estimated that biomass could supply a substantial proportion of South Korea’s current demands for oil and gas. No net carbon dioxide would be added to the environment is biomass energy replaced fossil fuels. Fuels derived from biomass are renewable and are sufficiently similar to fossil fuels to provide direct replacement. However, an important consideration with biomass energy systems is that biomass contains less energy per kilogram that fossil fuels. Dried biomass has a heating value of 11,000 to 17,600 Btu per kg with virtually no ash or sulphur produced during combustion. Due to higher moisture content this can be reduced to 9,500 to 16,000Btu per kg. Incomplete or partial combustion of biomass produces organic matter and carbon monoxide pollution. Biomass could have an important impact on the socio-economic development of rural populations and the diversification of the energy supply. Combustion, gasification, liquefaction and bio-chemical are the primary ways of converting biomass into energy. Combustion burns biomass to produce heat. Gasification produces gas that can be combustible in a turbine. Liquefaction produces oxygenated liquid that can substitute for heating oil through a fermentation process and both biodiesel and ethanol are examples of the process.